(2014/Real Gone Music) 30 Titel 1960/70s (13 unveröffentlicht). 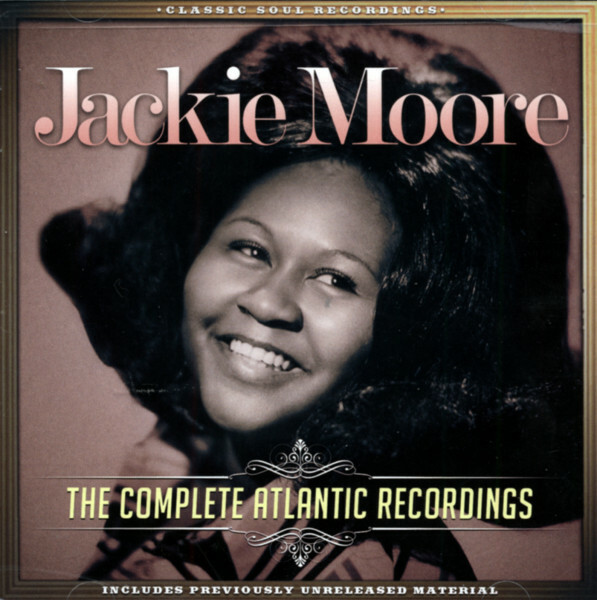 Jackie Moore war eine der großen Soul-Divas der 60er und 70er Jahre. Die kompletten Atlantic Aufnahmen mit Songs wie »Precious, Precious«, »Sometimes It’s Got To Rain (In Your Love Life)« und »Sweet Charlie Babe« sind ein eindeutiger Beweis dafür. Auf diesem 2-CD-Set sind zudem 14 unveröffentlichte Tracks. Die Liner Notes stammen vom englischen Kritiker Charles Waring und beinhalten umfangreiche Anmerkungen von Jackie Moore. Remastert von Mike Milchner in den SonicVision Studios. Miami was a recording destination as the decade turned, much of the action taking place at Criteria Studios. The sun-baked city was loaded with female soul singers, but when Jackie Moore entered Criteria on April 23, 1970 to cut Precious, Precious for producer Dave Crawford with house rhythm section Cold Grits (guitarist Jimmy O’Rourke, bassist Harold ‘Hog’ Cowart, drummer Ron Ziegler, and organist Billy Carter) augmented by guitarist Cornell Dupree and the Memphis Horns (trumpeter Wayne Jackson and saxist Andrew Love), she was the equal of any. Moore wasn’t a studio neophyte. Born in Jacksonville, Florida in 1946, she had the benefit of her cousin Crawford’s guidance early on. Moore moved to Philadelphia in 1968 and made her debut 45 for producer Jimmy Bishop, program director at WDAS, the city’s top R&B station. Bishop didn’t issue it on his own Arctic label, handing Dear John to Bert Berns’ Shout label. Shout tried again with Jackie’s Call On Me, while her Loser Again ended up on Florence Greenberg’s Scepter logo. Crawford was experiencing success as a producer when Moore returned to Florida. Dave got her signed to Atlantic, and at her first Criteria session, Crawford handed Jackie one of his own compositions, the driving Willpower. 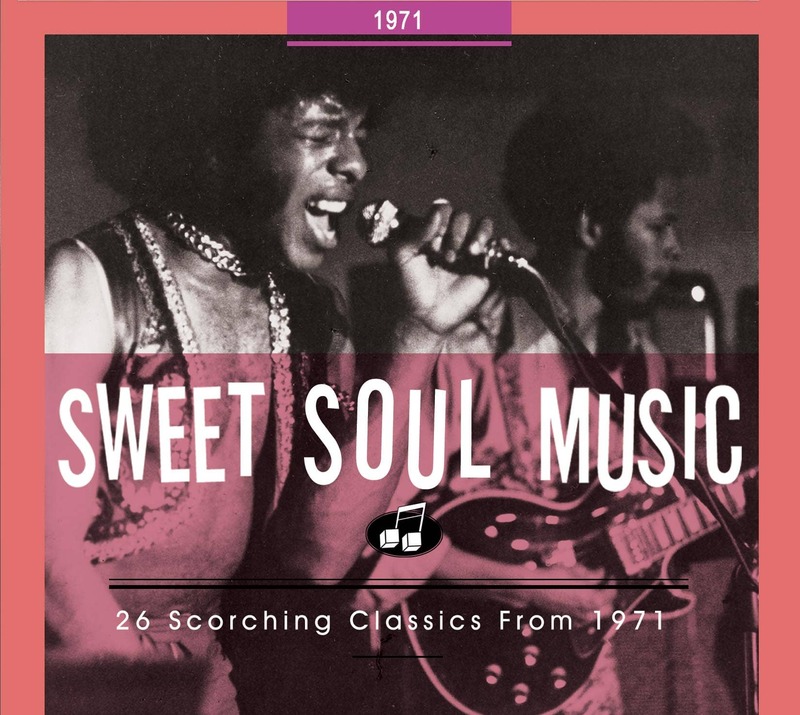 It was chosen as the A-side, but a Florida deejay flipped the single and found the alluring Precious, Precious, a mid-tempo Moore/Crawford copyright that shot to #12 R&B and #30 pop in early ’71, going gold in the process. Otis Clay cut a fine Memphis cover for his first Hi album. Cold Grits was emerging as a force at Criteria, having backed Wilson Pickett on his ’69 cover of The Supremes’ You Keep Me Hanging On. Moore encored with Sometimes It’s Got To Rain (In Your Life), utilizing another noted rhythm section, The Dixie Flyers, and scoring another hit. She ventured to Jackson, Mississippi to cut a ’72 hit revival of the Elgins’ Darling Baby at Malaco’s studios, while her Sweet Charlie Babe, a #15 R&B entry in 1973, was laid down in Philly. When Moore’s Atlantic tenure ended, she hooked on at Henry Stone and Brad Shapiro’s Kayvette label, registering a #6 R&B seller in 1975 with Make Me Feel Like A Woman. Jackie landed at Columbia toward decade’s end. Her 15 1970-83 R&B chart entries testify to the unmitigated power of her pipes. Kundenbewertungen für "The Complete Atlantic Recordings (2-CD)"